A few weeks back, Jan and I had a rare day with no guest check-ins to keep us at the Inn all day. Taking advantage of our freedom, we played tourists on Cape Cod. We ventured down Cape or up Cape, depending on who you are speaking to, and went to Truro. Truro is about forty five miles from Sandwich, going north on Route 6 between Wellfleet and Province Town. At places along the way, the Cape is less than a mile wide and the views are breathtaking with water on both sides of the road. Although enjoying a little free time from the Inn, we did put on our concierges’ hats when we stopped at Truro Vineyards. Of course, it's not too much of a stretch for us to mix business and pleasure by exploring one of the Cape’s only two wineries. 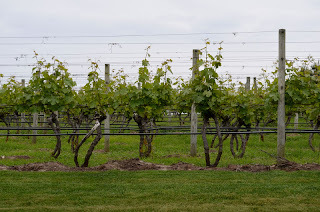 Truro Vineyards grows their own grapes, harvests them in the fall, and does the complete cycle from crush to fermenting to bottling on the property. We arrived just in time to participate in the next wine tasting. Tastings run daily on the half hour. A tour is also available two times a day that starts with a stroll through the vineyard, stops at the barn to observe the fermentation and bottling processes and ends with a tasting. We passed on the tour and went directly to the tasting. The tastings are held in the beautiful pavilion nestled in the vineyard, behind the gift shop. 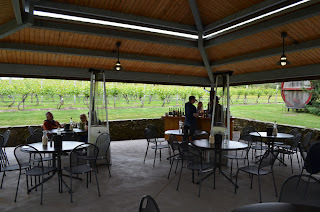 We had not been to this vineyard in a number of years, not since the Roberts Family bought it, and we had not seen the many upgrades made in their short tenure. The pavilion is one noticeable improvement along with the new large barn. Probably less noticeable, but just as important, is the improvements in the vineyard. The number of vineyard-planted acres has been expanded and new growth stock planted and also new varietals. The coastal location has warm ocean breezes that temper the climate; this plus the sandy soil has proved ideal for growing grapes. The vineyard now has five acres of vines growing Chardonnay, Cabernet Franc, and Merlot which are all hand-picked at harvest time. The winery also sources grapes from other vineyards in Massachusetts, New York, and California. 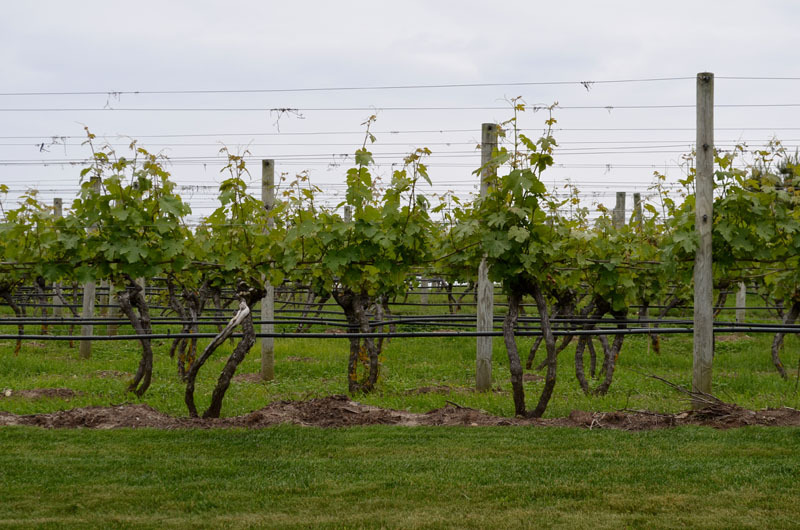 From the combination of locally grown and sourced grapes, Truro Vineyards produced seventeen different wines available for purchase. At the wine tasting in the Pavilion, we had the opportunity to taste nine of the seventeen wines. All nine of the wines are presented on the bar at the front of the Pavilion and served to the tasters at the individual tables. Each table is equipped with tasting information, crackers and water. Our tasting consultant was Rebecca, who was very knowledgeable about the history of the vineyard and each of the wines offered. 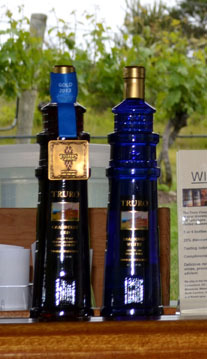 For the $10.00 tasting fee, each participant got to try five of the wines offered that day and got to keep the etched Truro Vineyards’ tasting glass, a nice and functional souvenir. changes frequently; a good reason for a return trip. We also did not taste the Lighthouse Series wines: Cape Blush Lighthouse, Cranberry Red, and Diamond White. These wines are best known for the recognizable bottle in the shape of a classic Cape Cod Lighthouse. 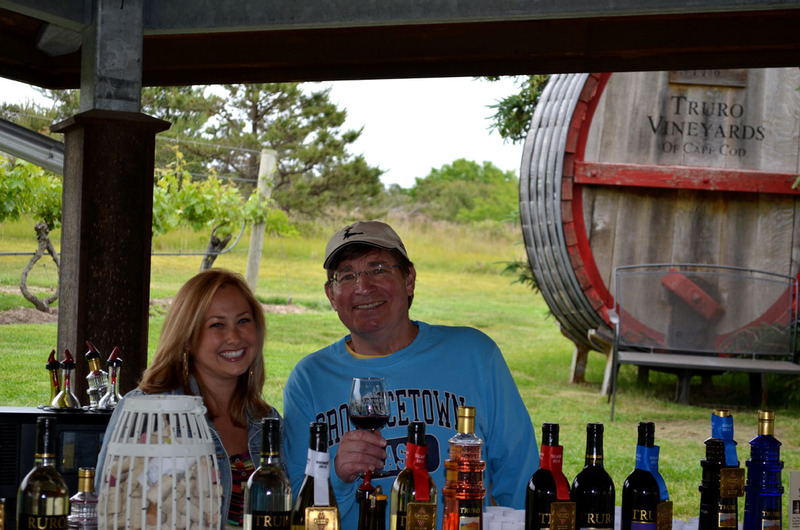 The Roberts family has continued this trademark Truro Vineyards’ bottling tradition to the delight of tourist from around the world who takes home this unique keepsake from their wonderful visit to Cape Cod. Come stay with us at our Sandwich Inn and we may just be serving some of the wines from Truro Vineyards in our daily wine offering and, if not, we’ll give you directions so you too can enjoy a great day trip to an unusual Cape Cod treat.